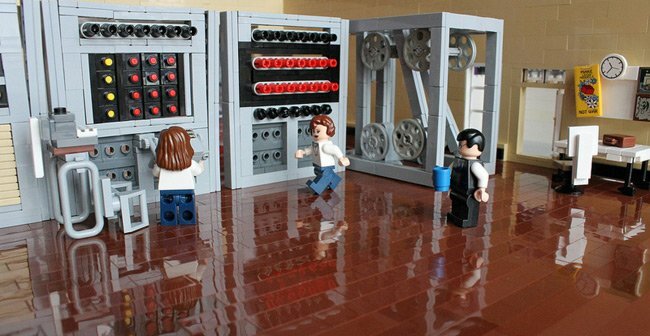 Pics A Lego fan's miniature representation of the famous codebreaking Colossus Mark 2 has agreeably gone on show at Bletchley Park, where the original machine did vital wartime work breaking Germany's Lorenz ciphers. 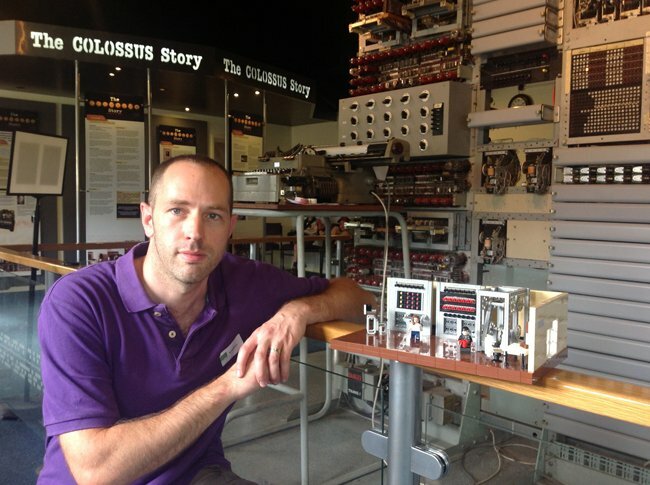 James Pegrum's homage to Colossus is entertaining visitors as part of the The National Museum of Computing's (TNMOC) Summer Bytes Festival, appropriately featuring a Lego Mindstorms EV3 tech workshop on 17-18 August. TNMOC's full-fat Colossus is a rebuild completed in 2004. James worked from a wartime photo of the mighty Lorenz key cracker to produce his homage. Colossus Rebuild Chief Engineer, Phil Hayes, quipped: "The bedstead with the tape reader immediately caught my eye. I can see that the LEGO model has the advantage of being cheaper to build and cooler to run although I think it would struggle to perform the amazing feats of Tommy Flowers' original machine."